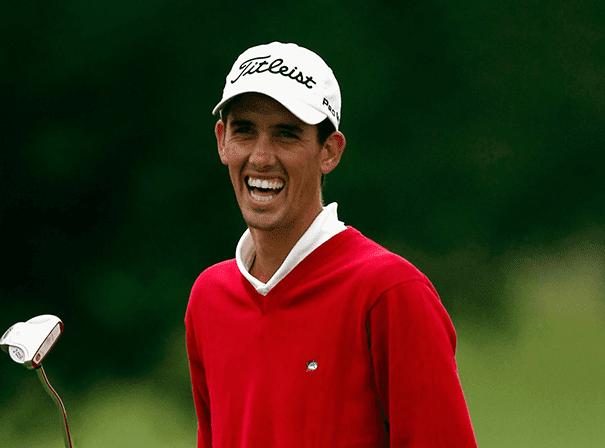 Chesson Hadley is a professional American golfer who plays on the PGA Tour and who hails from California. He turned pro in 2010 and since then has been a consistent performer who is known around the world for his great stroke play. For any brand ambassadorial roles, product launches, charity events, sports dinners or after dinner speaking engagements he is a fine choice who adds real value and insight. Hadley is naturally left-handed but plays right-handed and is a truly exciting golfer. His first ever PGA Tour victory came at the Puerto Rico Open in 2014 and led to him picking up the most votes for the Rookie of the Year award. Always playing with great composure beyond his years, he finished that maiden win with a birdie to win by two clear strokes. That was only his 13th start on the tour having earn the right to play after finishing third on the web.com Tour in 2013. Other wins for him include at the Rex Hospital Open, Tour Championship and a fifth at the Shriners Hospital for Children Open in October 2013. Chosen has ben playing since the age of six and is married with a young son. He had a fine amateur career and in 2015 he has already picked up a couple of top ten finishes at the AT&T Pebble Beach Pro Am and Valero Texas Open. As such he is very much a future world star of the game so now is the perfect time to have him come and speak for you or represent your brand.